Anonymous, 07 Aug 2010same problem with me.. i've been using this phone from last one and a half year, n i had 2 go... moreMe also had that keypad prob.. 7 8 9 keys. Hat that. After that removed the inside keypad and put a new one. Nw it's working normaly. Anonymous, 08 Aug 2010Very bad fone totally wasting of money i hate dis fone very much..;-(m using this phone nicly. Not bad but camera is very slow. Photo qulity little good. 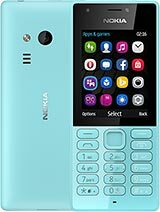 I hat nokia S40 mobiles because there is no multipal tasking option. Hat hat hat.! same problem with me.. i've been using this phone from last one and a half year, n i had 2 go to the mobile repairing shop two times just to repair the 7,8,9 keys... otherwise this phone is good, .. but only the pink n blue casing are normally available in the market..
very poor performance of the phone. it have defect of keypad design,7,8,9 keys dont work.must be some hve designed this. Himani Rath, 21 Jul 2010I have been using this phone since a year now. Display and internal features are good. But I c... morethis phone is amazing., i've been using this hand phone for more than two years now w/out any problems! carema and mp3 still working in gud conditions. i can't activate my GPRS? I have been using this phone since a year now. Display and internal features are good. But I cam across with problems like keypad doesn't works well especially 7 8 9 keys, low battery power and most importantly the software hangs most of the time, it gets locked automatically sometimes. then it is certainly not a good option ! !